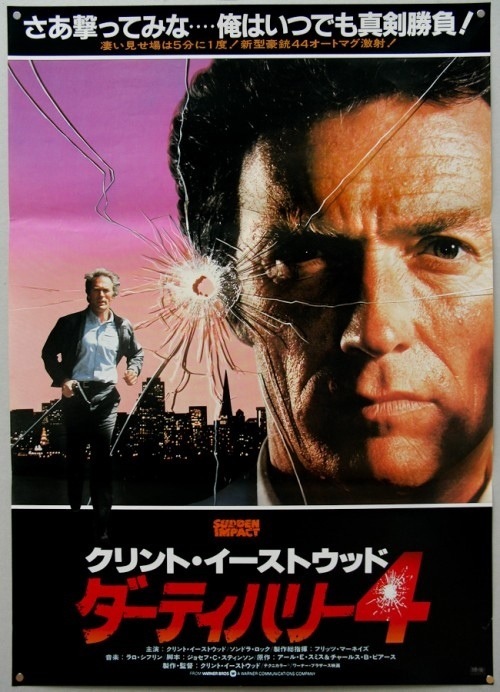 Released in 1983 Sudden Impact is the 4th of 5 in the Dirty Harry series and the only one directed by star Clint Eastwood. 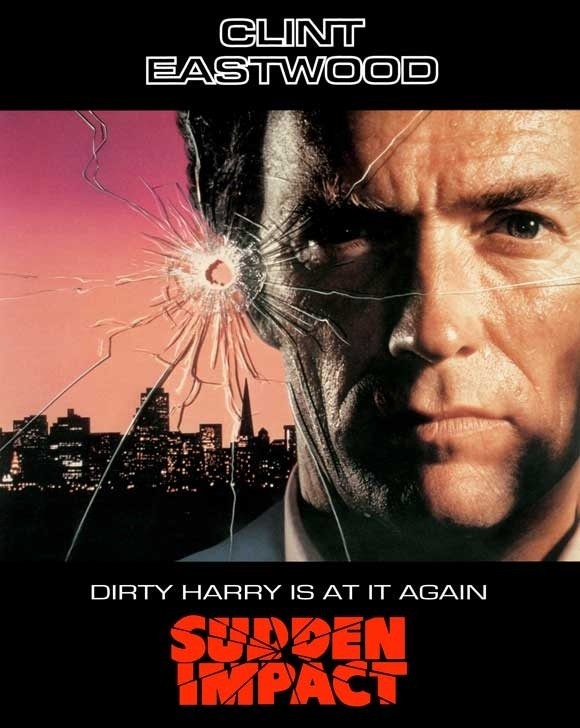 It’s difficult to say which film is my favorite since in my opinion all 5 have something to offer and while the original film Dirty Harry is the more popular choice if I were forced to pick I just may have to go with Sudden Impact, which has a terrific script and top notch direction by Eastwood. Sudden Impact has everything I love in a movie and at times the film does have a hint of exploitation. 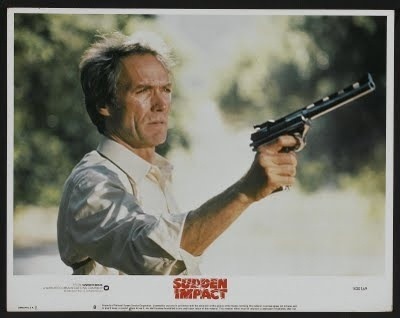 Like I said Dirty Harry is the common pick for the best of the series and I can’t argue against it, but again I still think I go with Sudden Impact as this film for me is just a complete blast from beginning to end. Based on what I read originally the script was written by Earl E. Smith who wrote the cult classic Town That Dreaded Sundown and was co-written by Charles B. Pierce who directed the Town That Dreaded Sundown and originally Sudden Impact was meant to be an original film which focused on Sondra Locke as the lead, but later rewritten by Joseph C. Stinson and changed to a Dirty Harry sequel. Both Smith and Pierce get a story credit, but no screenwriting credit. 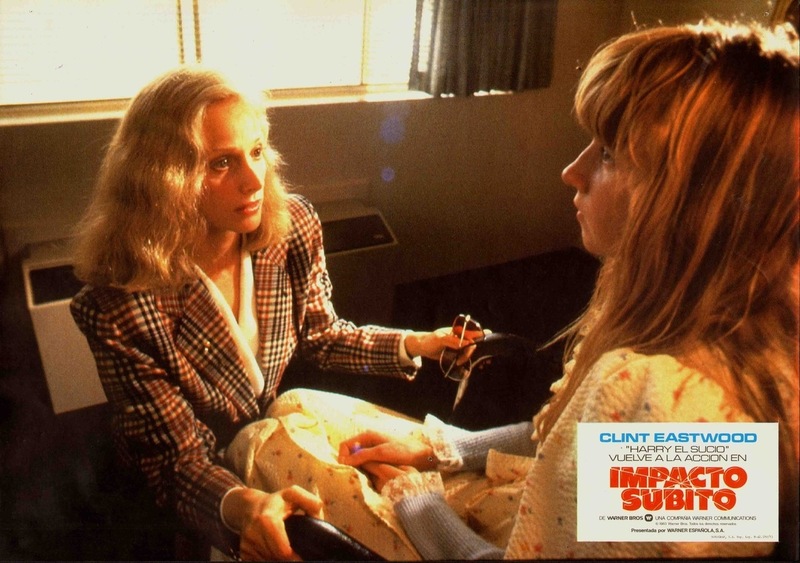 I have no idea how much of Smith’s & Pierce’s story made into the final product, but either way I think the ideas presented in Sudden Impact were excellent. Jennifer Spencer (Locke) was gang raped along with her sister and now she’s out for revenge on the attackers. Harry once again in trouble is put on a suspension of sorts where for the time being he’s relocated to just outside San Francisco and assigned the case, which becomes an interesting dilemma for Harry. The screenplay by Joseph C. Stinson is great as its well plotted with solid characters and Dirty Harry was at his best here. 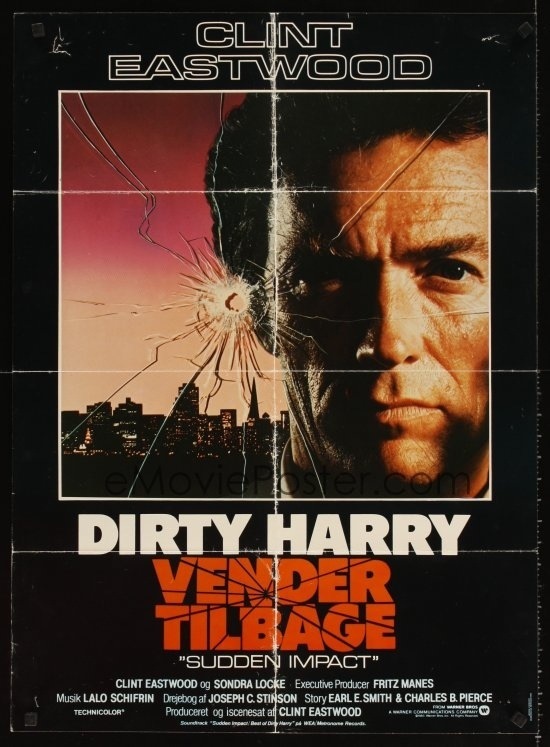 The Dirty Harry films are often seen as vigilante films, which is true to a certain degree. 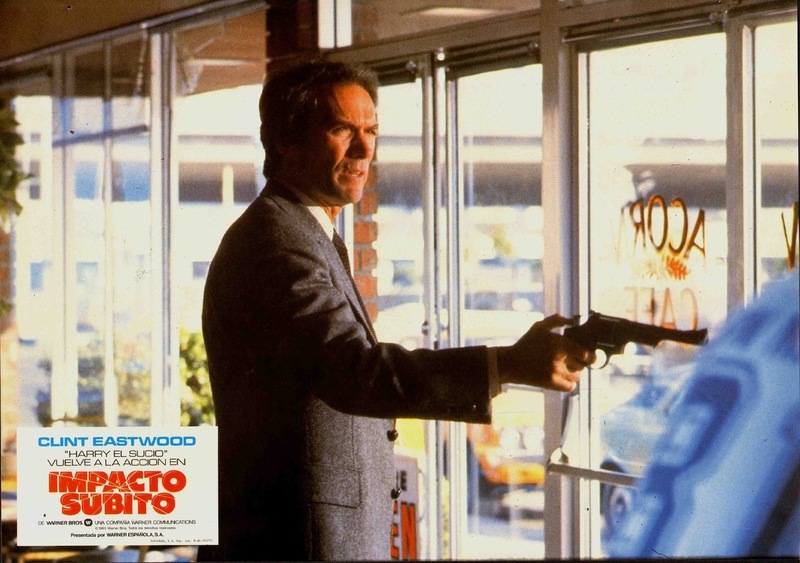 However in the original Dirty Harry the final act he pretty much goes off on pursuit of the villain in his own and Sudden Impact also has Harry going rogue. So the films have vigilante elements, but I still for the most part wouldn’t see them as vigilante films. With that said vigilante justice has been explored in the series with Magnum Force and here with Sudden Impact, but I would label half this film a vigilante movie since Jennifer is killing the people who raped her and her sister. Unlike in Magnum Force where the vigilantes are the villains, Jennifer isn’t and she’s totally justified. The script is the best of the series outside of the original, but a case can be made for this. 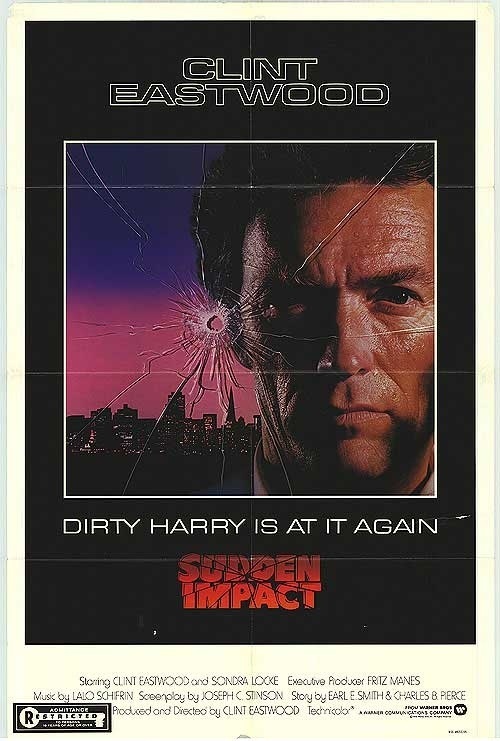 If anything Sudden Impact is almost a highlight reel of a best of as the first hour features various subplots with my favorite being when Harry ends up having to stop a robbery while getting his coffee. The 2nd hour is when the main plot really starts to kick in and I think the fact the film has so many different subplots going only enhances the film. 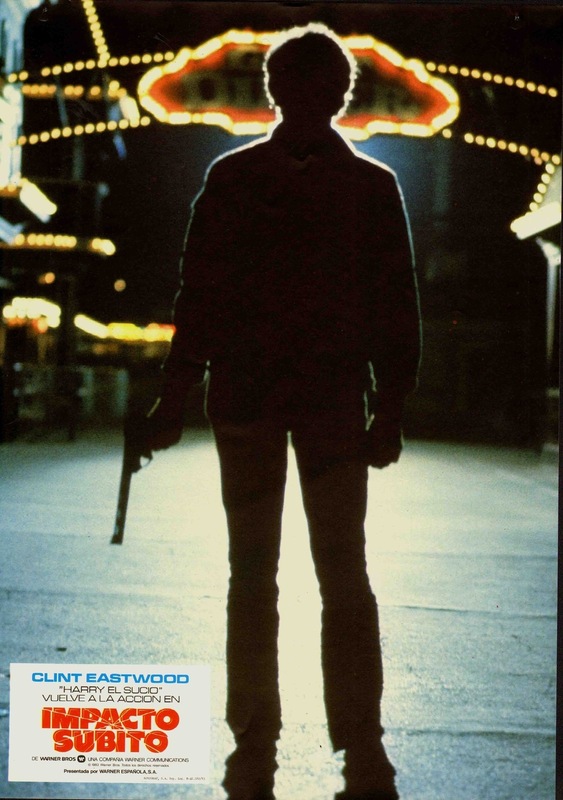 This plot device can also be a disaster as the the film can be disjointed with no identity, but in my opinion it worked brilliantly in Sudden Impact. Like I said in many ways Sudden Impact felt like a highlight reel with all these subplots for Harry. 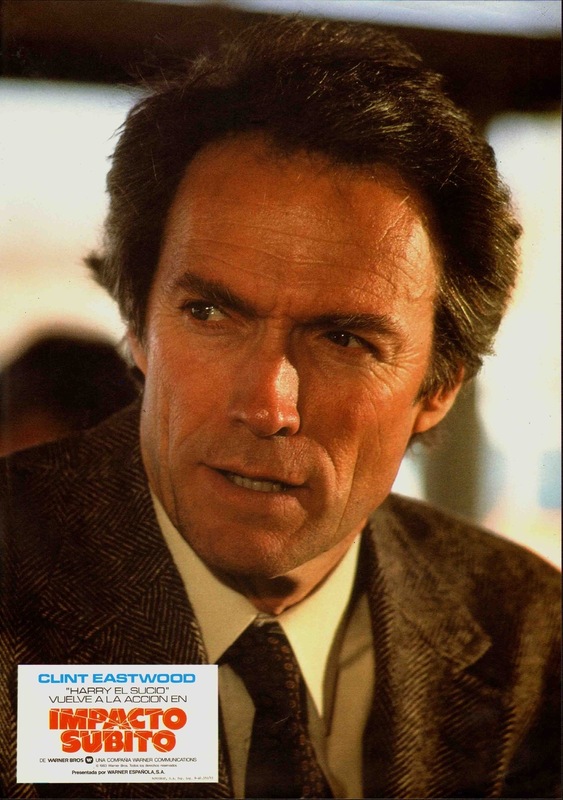 Clint Eastwood stepped into the directors chair for the first and only time in the Dirty Harry series. 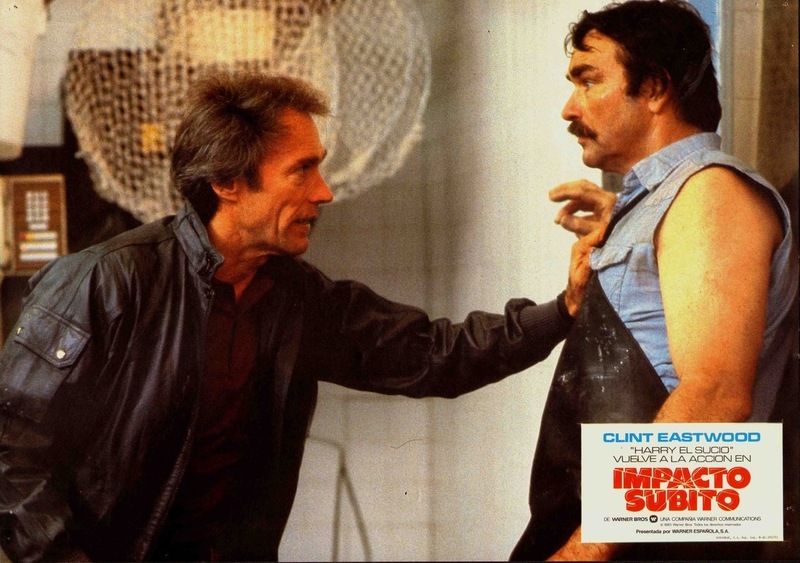 Sudden Impact is well paced and always exciting. With the first hour more focus is put on the subplots and Eastwood delivers some of the most exciting scenes in the series. Sudden Impact is a lot of fun early on with never a dull moment. 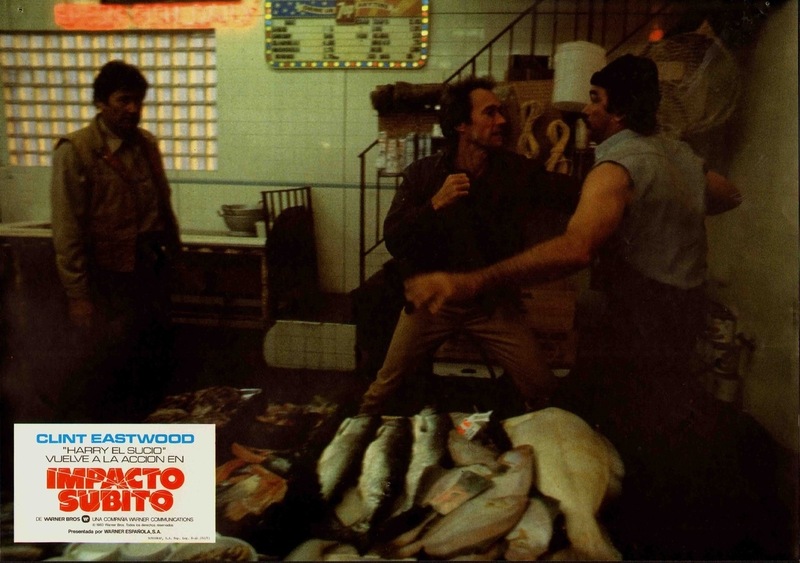 The 2nd half is when the main plot really gets going and Eastwood still keeps the pace moving along. 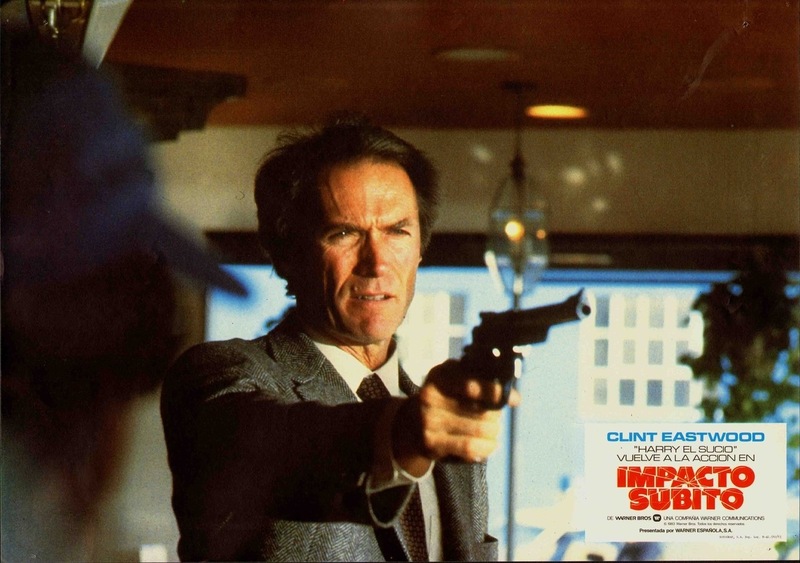 At times Sudden Impact has a fun tone and in others it almost takes an exploitation feel and some felt the mixture didn’t fully work, but Eastwood is such a fantastic director he in my opinion really mixed it well and Sudden Impact is well made, exciting and thrilling. Eastwood has made many great films and Sudden Impact easily rates as one of my favorites along with Million Dollar Baby and Gran Torino. 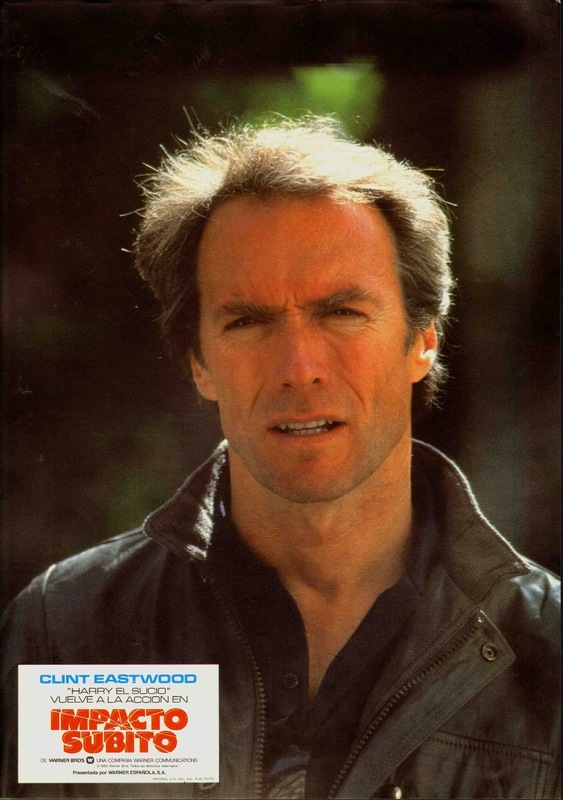 Clint Eastwood is an icon in Hollywood as both an actor and director and for good reason. 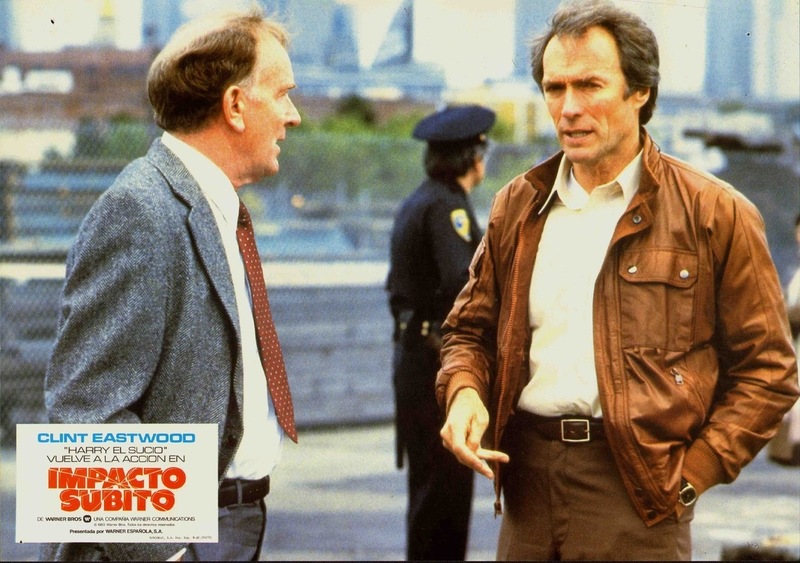 Acting wise this is one of my favorite Eastwood performances; in general Eastwood made a career on playing Dirty Harry type characters and Sudden Impact rates in my opinion as one of his best performances (Gran Torino takes spot spot). Some felt Sondra Locke was a bit weak in her role and I completely disagree. Locke’s character is meant to be sort if detached and a little cold in her pursuit of revenge and I thought she was terrific. 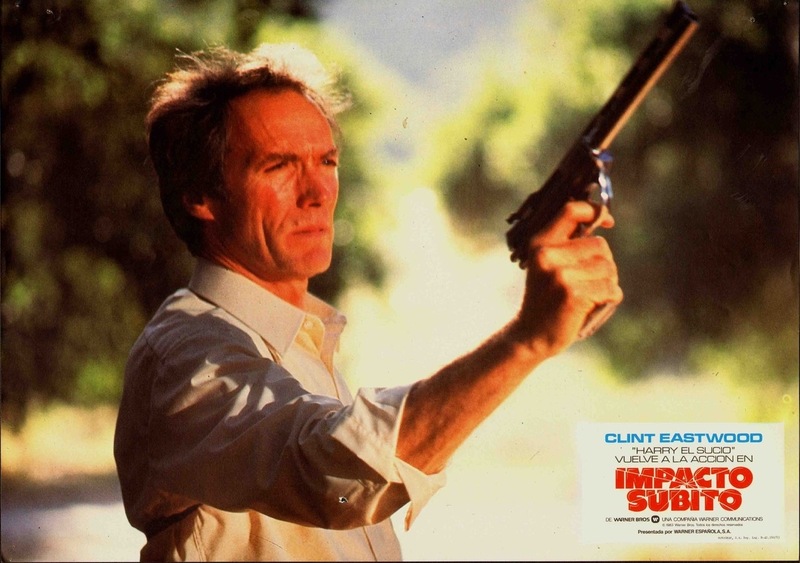 Overall Sudden Impact is a great film in my opinion. I love how the film had so many subplots before getting into the main plot. 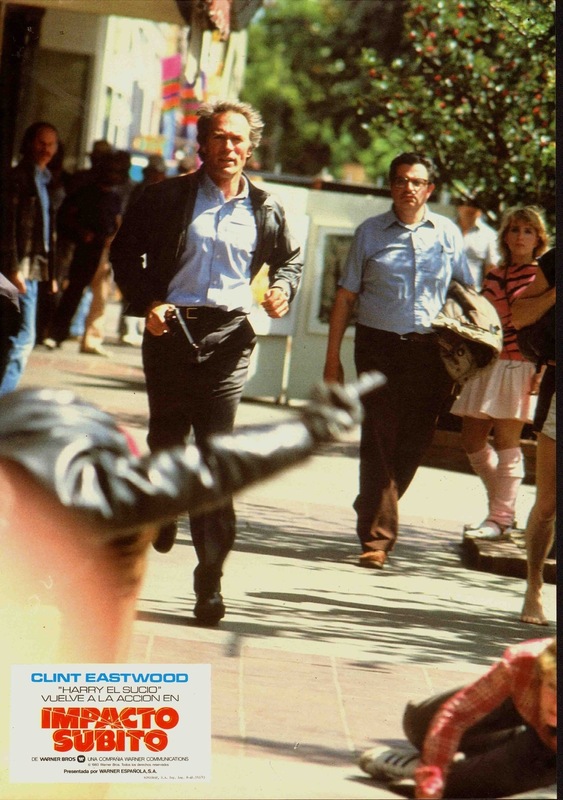 Sudden Impact has great comedic moments, great action, but it also has a darker edge as well and I felt all this worked great and the more I think about it Sudden Impact is for sure my favorite. Albert Popwell makes his 4th and final appearance in the Dirty Harry franchise. In each part he played a different character and here in Sudden Impact he plays a good guy for the first time playing Horace King who is on the police force.